A reliable source for Electromechanical Actuators information and a resource for accessing leading Electromechanical Actuators and suppliers. Electromechanical actuators are devices that provide mechanical force through the conversion of electrical power. Becoming increasingly popular for industrial applications, electromechanical actuators offer several advantages over traditional hydraulic and mechanical linear actuators such as; increased mechanical efficiency, compactness, ruggedness, high load capacity, a minimum number of parts and easy assembly. Electromechanical Actuators Electromechanical actuators are devices that provide mechanical force through the conversion of electrical power. Becoming increasingly popular for industrial applications, electromechanical actuators offer several advantages over traditional hydraulic and mechanical linear actuators such as; increased mechanical efficiency, compactness, ruggedness, high load capacity, a minimum number of parts and easy assembly. 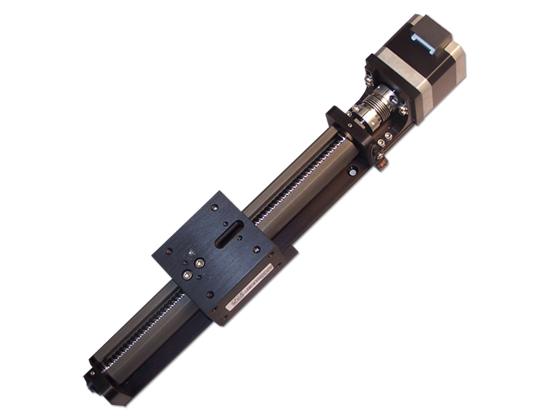 Electromechanical actuators may differ in terms of what materials they are constructed from; such as metals like aluminum, steel and zinc, as well as having plastic parts at times for noise reduction purposes; in terms of the power source, which could include DC, AC, stepper and servo motors; and in terms of screw types such as lead or ball screw actuators. Additional benefits of electromechanical actuators include decreased energy consumption, long service lives and increased power density. Electromechanical actuators have a fairly simple design: they consist of an electric motor, a screw, a nut and possibly gears. The electric motor, also referred to as the driver, is mechanically connected to a screw. Thus, when the motor rotates, the screw will also rotate. A nut is threaded onto the screw through matching helical threads onto a non-rotating part of the screw; as a result, the nut is prevented from rotating along with the screw. Instead of rotating, the nut will be driven along the threads of the screw in a linear movement in the corresponding direction to the screw's rotational movement. As a result, it is through the nut's movement that the electrical energy is converted into usable mechanical energy. In terms of electromechanical actuators that utilize gear sets, the general purpose is for use in smaller motors. Not only smaller, but weaker as well, these motors spin at a high rpm and must be geared down in order to provide the necessary torque required to spin the screw in applications in which the load would be too heavy for the motor to be able to handle without additional support. Typical gears that are used for this application include worm gears, which are industrial gears that have a curved and recessed throat, or planetary gears, which consist of three or more outer gears that revolve around one central gear.